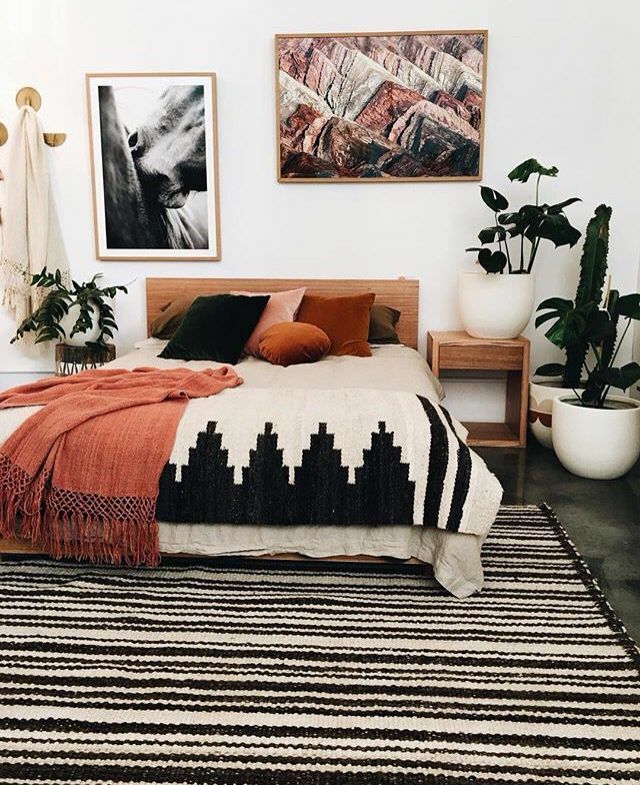 Despite the new algorithms Instagram is one of my go to apps as soon as I wake up. I have reached a goal of mine this year to get over 1000 followers on insta, so I am thrilled. 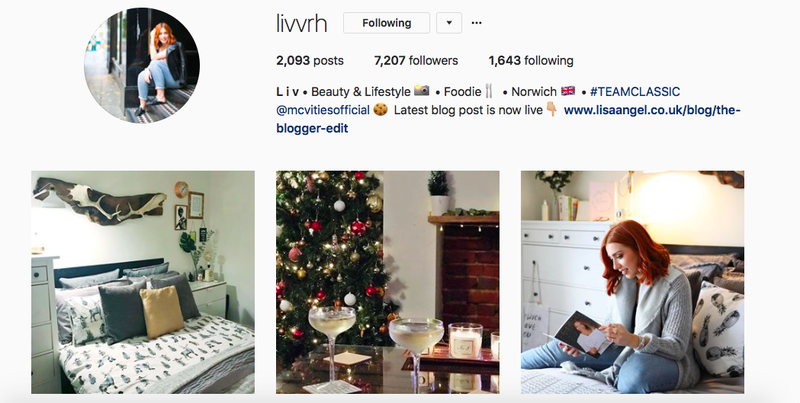 Here are five of my all time favourite instagram accounts throughout the past year. Please go check them all out and give them a follow if you don’t already! 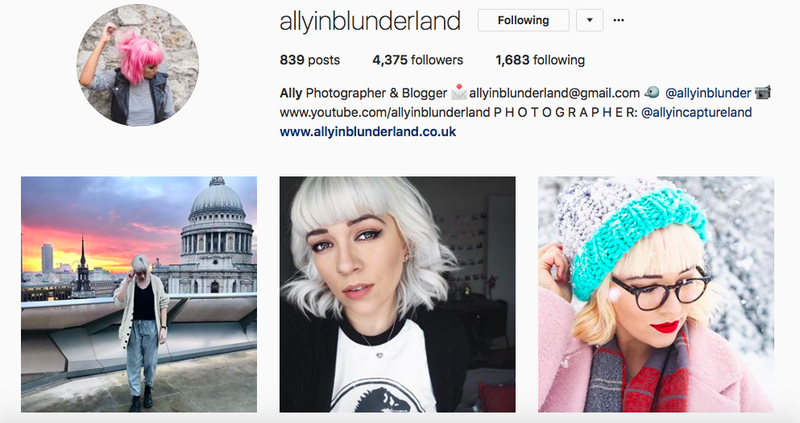 Ally is one of the best photographers I have seen this year alongside having the most gorgeous hair colour/styles. They have ranged a lot this year and I love keeping up with it. She’s an inspiration as she is an amazing blogger, photographer and a paramedic. I have no idea how she fits it all into her days but she’s smashing it. I discovered Livvrh about half way through the year but all of her pictures are just so beautiful and perfectly shot. I also love following her about her day with her insta stories, makes me feel like I should go to the gym in the morning too, but lets leave that for the new year! Megs has always been a favourite of mine, she’s so beautiful and could look flawless in any piece of clothing! 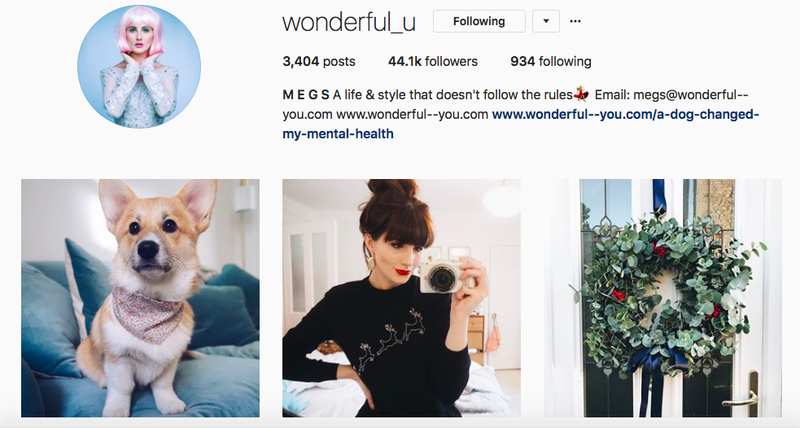 Another good addition to her feed this year has been her gorgeous little puppy! I’ve followed megs since she started and its amazing to see how much her style and followers have grown with her. 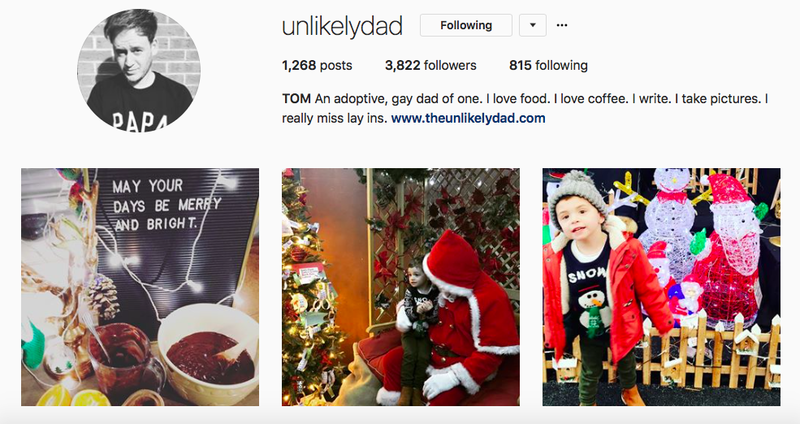 Unlikleydad is another account I found about half way through the year. Now I’m a mum, I love these accounts even more so! He’s a lovely guy who has an adopted son with his partner, he also has a smashing blog! They always seem to be doing fun things and I love seeing all the pictures from it! 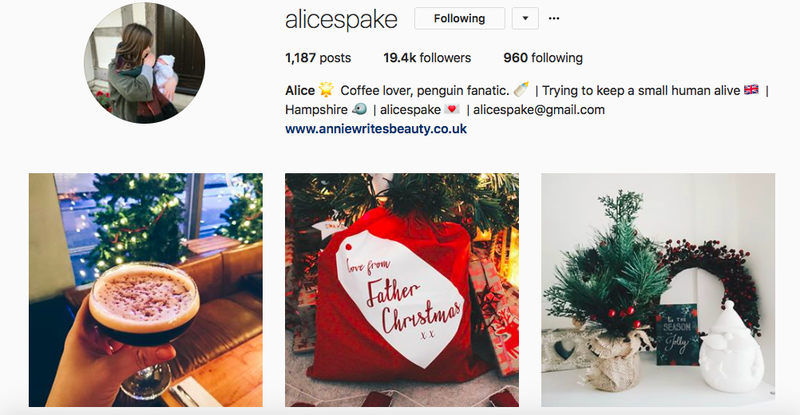 Alicespake is an instagram account where all of her pictures are just perfection! Loving the festive ones lately for sure. Again, now I’m a mum I love seeing peoples pictures of their babies and what activities they get up to. Gives you inspiration. Follow me on instagram if you don’t already at @drainedbeauty. Who are your favourite accounts from this year? Let me know in the comments below!